Cutie’s Girls’ Hostel is the best Girls Hostel in Jaipur. We are committed to provide a safe, decent and homely environment for single women & young couples to live in. 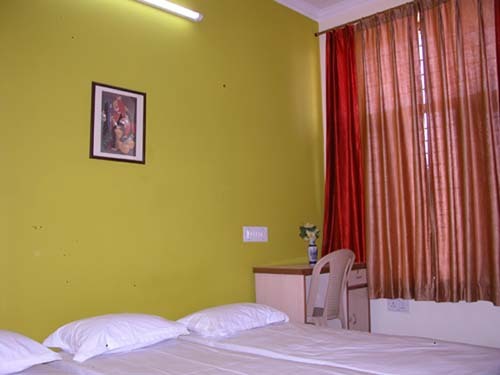 The surrounding area of Cutie's Girls' Hostel are green and peaceful, the accommodation homely and comfortable, which makes it an ideal hostel accommodation in Jaipur. 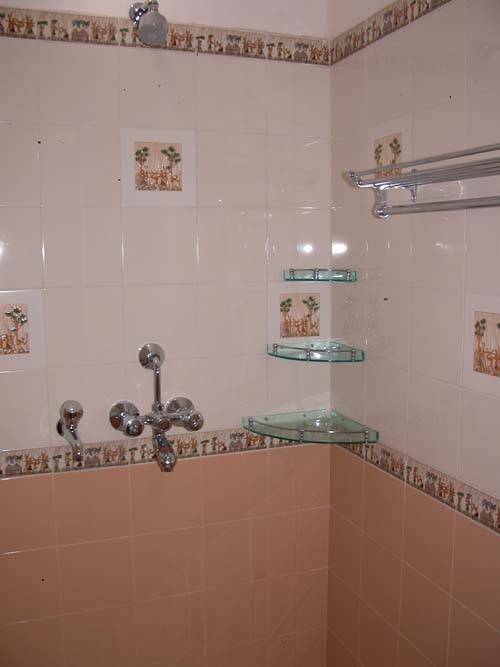 It all adds to its reputation as being a choicest hostel/Home Stay facility in Jaipur. 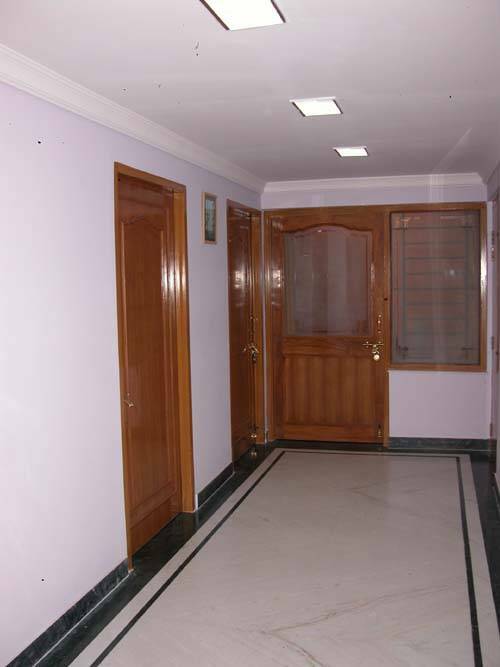 Hostel is equipped with Round the clock Electronic Security System which has become of utmost importance now days. I think ours is the only hostel in Jaipur fitted with such gadgets. Stay with us and become a part of our Indian family. Experience sharing, caring, warmth and very spiritual environment. Wherever possible, we do things together. Our focus is on your comfort and safety, ensuring you has an encompassing, meaningful and positive experience of Jaipur and India. We invite national & international travelers to experience the sites, sounds and tastes of Jaipur from the comfort of our hostel. The location is ideal for all business travelers and tourists, as it is in the heart of Jaipur. GYM, Swimming Pool, Beauty Parlor, Bar, Bakery, Fast food, Restaurants, Bank ATM, Hospital, Market, Public Park etc. are at walking distance from the hostel. Tourist Attractions are 1 to 16 Km. away. + Arrange bookings for the guests for sight-seeing tours conducted by the Rajasthan Tourism Development Corporation (RTDC). + The half-day / full tour of Jaipur that covers Amber Fort, Jantar Mantar and Hawa Mahal/ Amber Fort, Nahargarh Fort, Jaigarh Fort, Jal Mahal and Gaitore. + ‘Jaipur-by-the-Night' tour that covers the floodlit Amber Fort and Hawa Mahal with dinner atop the Nahargarh Fort which overlooks the city of Jaipur. * Polo / Golf / Tennis / Billiard / Shooting / Boating /Ballooning / Para sailing / Trekking / Skating / Horse / Camel / Elephant riding / Wild life safari / Water park / Swimming. + Wine n dine with live music / Music n dance shows / Pubs n discotheque / Cultural shows / Drama shows / Folk dance show / Puppet show / Movie show / Attending social functions n get together like – Marriage, Ring ceremony, Birth day parties etc. / Going to market, shopping malls / Going to temples, parks / Sitting at the roof top in silence n watching panoramic view of the city and sky n stars / chatting with the host. The Guestrooms are Centrally Cooled and well appointed, and shared bathrooms with modern fittings along with hot and cold water. Toilet European / Indian fitted with hand faucet & toilet roll. Hostel have amenities like cable T. V. Telephone, Fax, Internet connectivity, food authentic Indian, south Indian (multi cuisine) lunch,/dinner on request. Pick up/ Drop, safe keeping, doctor on call, guest message, 24 hrs. Check in/out, travel desk, laundry, room service etc. is also available. Hostel is equipped with Round the clock Electronic Security System. The Guestrooms are Centrally Cooled and well appointed, and shared bathrooms with modern fittings along with hot and cold water running. WC European / Indian fitted with hand faucet & toilet roll. Cutie’s Girl’s Hostel is situated in the Asia’s biggest systematically developed colony, famous for its parks, greenery, serenity, pure drinking water, wide roads, market and its close proximity to city, governmental and institutional area. It’s equipped with all kind of modern facilities like Hospitals, Banks, Educational institutions, Hotels, Restaurants, Pub & Discotheque, Cinema halls, shopping malls and community halls, well connected with frequent public and private transport facility round the clock. It has become the education & medical hub not for Jaipur but also for the whole state & will be for the whole country in the times to come. Hostel is located at a very prime location. Banks, ATMs, Hospitals, Cyber Café, GYM / fitness Centre, Beauty Parlor, Jogging Track , Public Park, Swimming Pool, Bar, Restaurant, , Market (Stationary, STD, PCO, Grocery, Bakery, Fast Food, Sweet Shops, Shopping Malls, Departmental / Branded Stores like – Reliance Fresh, Black Berry, Liberty etc.) are at walking distance from Cutie’s Girls’ Hostel. No refund in all cases for cancellation made under 7 days (from the date of Check- in) or *No Show. For 1-4 Pax cancellation made under 15 days, One day’s room charges per room will be levied. For 4-7 Pax cancellation made under 20 days, one day’s charges per room will levied. For 7 & above Pax cancellation made under 30 days, one day’s charges per room will be levied. For cancellation made before stipulated period full refund less 10% administrative charges on tariff per room in all cases will be charged. Cancellation will be effective from date of receipt of letter/Fax/Email. No request for cancellation on phone will be entertained. Cutie's Girls' Hostel is situated at Tilak Marg, Meera Marg, Mansarovar, Jaipur. Hostel is located within the radius of 6. 5 km. from the Centre of the Jaipur City. Jaipur Railway Station & Interstate Bus Terminal (Sindhi Camp) is 10 and 11 Km away respectively. Durgapura Railway Station is 1. 5 Km away & Gandhi Nagar Railway Station is 5 Km away. It is 5 to 8 minutes drive from the Airport. It is 10 to 15 minutes drive from the Jaipur Railway Station and 5 to 8 minutes drive from Durgapura Railway Station & Gandhi Nagar Railway Station. It is 10 to 15 minutes drive from Interstate Bus Terminal (Sindhi Camp) and less than 5 minutes drive from Sodala and Durgapura bus stand and 10 to 15 minutes drive from Narayan Singh Circle bus stand. 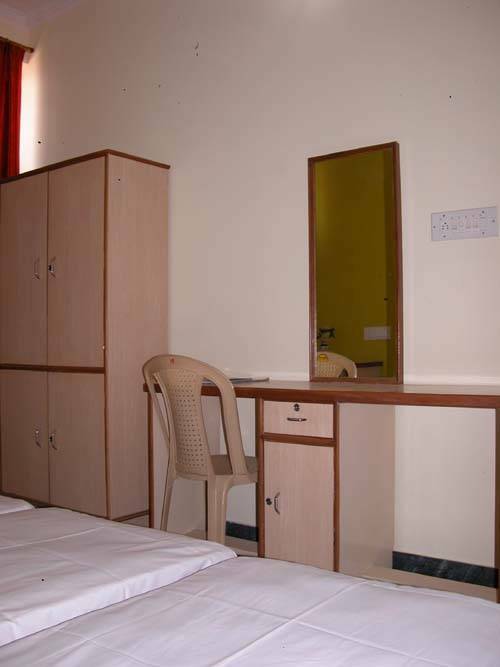 Cutie’s Girls’ Hostel is situated at a very prime location at Mansarovar , Jaipur. Area is well connected with frequent public & private transport facilities. Taxis / Auto / City Buses (from 6. 00 hrs to 22. 00 hrs.) are easily available round the clock. City Bus Stop / Taxi / Auto Rikshaw Stand are at walking distance. Nearest airport: The Sanganer Jaipur International & Domestic Airport is just 6 Km. away. It is 5 to 8 minutes drive from the Airport.